In the US, Xero is a smaller accounting tool than its big brother, QuickBooks. However, when it comes to cloud accounting, Xero is the leader in every way. In this post, I'll share our favorite features of Xero, and a few things you cannot find elsewhere in small business bookkeeping software. Xero works on a computer, a phone, a tablet – you name it. The app is robust and allows you to check your bank, reconcile, send invoices to clients, and more. You can even record your expenses directly, and photograph your receipt, saving you the need for other additional receipt tracking apps. QuickBooks Online offers these features but it took them a while to catch up. 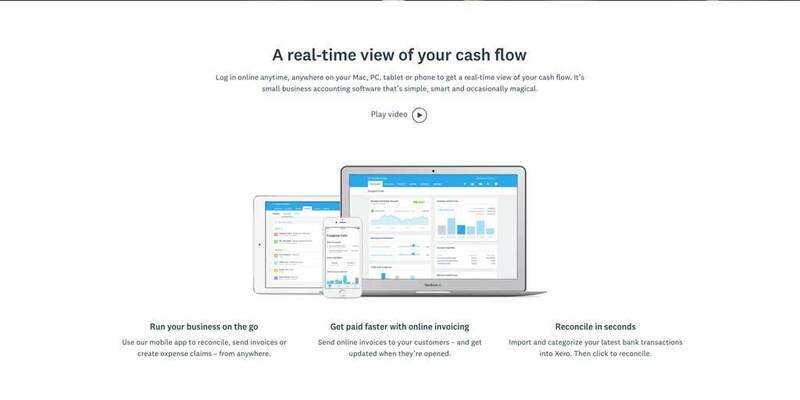 Xero is more robust and has a smoother and intuitive flow to all of these features. Again, QuickBooks caught this feature, but it’s the best. Even QuickBooks Desktop had to bring this feature in. The efficiency of getting your bank data directly into the software is remarkable. Xero brings it in daily, and keeps you caught up through yesterdays’ banking activity. Xero allows you to connect many other applications, and invoicing presents a great opportunity. You can connect it to PayPal and your preferred merchant service provider to allow clients a variety of options to pay right from the invoice. Case In Point: If you are a direct service provider, you can develop a work rhythm to send an invoice to a client before you ever leave the job. You can send it by email, and make sure they receive it. It’s even possible at that point to have them pay before you finish your day. And all of the information lands in the accounting software. Done and done! Already using Harvest for invoicing? No problem. You can send Harvest invoices through to Xero with a click. Now we are getting technical, but there are times you or your advisors may want to see how the journal entries worked for a transaction (or a group of them). Xero has a ‘Journal Report’ that will show every journal entry for a time period, one by one. When researching issues, this can be a huge help. Xero will automatically convert the money you spent or received in the foreign currency into local dollars. In QuickBooks, foreign currency always stays separate, and will build extra lines in your financials. If you work in multi-currencies for any reason, you should take a serious look at Xero. Pulls in bank transactions automatically. As a bookkeeping firm, we have always remained indifferent to the software you use. For the robust small business market, there are two major players: Xero and QuickBooks. We have been working in Xero since it came to the USA and got a local CEO (poached from QuickBooks Online), and have found it to be a great tool. Xero can help a smaller business operate in a more robust way with less staff. There are some common mistakes that business owners make when doing their own books with Xero, which we cover here. If you'd like help managing your Xero books, contact us for a free bid.